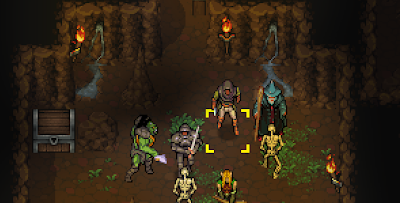 Dungeon Dashers is a turn-based dungeon crawler game that you play with your friends. The game features retro pixel art sprites and original chiptune soundtrack. Dungeon Dashers is available on for pre-ordering, giving you access to Windows build of the game. However, developers are also looking to add Mac and Linux support for the final game. Tested out compatibility for Mac and Linux. There were a few bugs, but hopefully they will be resolved by the end of the project. It seems to work... for the most part. If there's enough interest in a Mac and Linux build then I'll do my best to port the game to those platforms. Currently I'm focusing a PC build but﻿ I'd love to make the game available to everyone. In my opinion, the game looks pretty cool. Probably we can let the developers know that there is enough interest for a Linux build. Check out their website.